It is a requirement of your Agreement, that the goods are protected against Theft and Accidental Damage. We can arrange Theft & Accidental Damage Cover for £1.80 per week. It is a requirement that products purchased on a credit agreement are insured. We can offer Theft and Accidental Damage Cover for £1.80 per week. 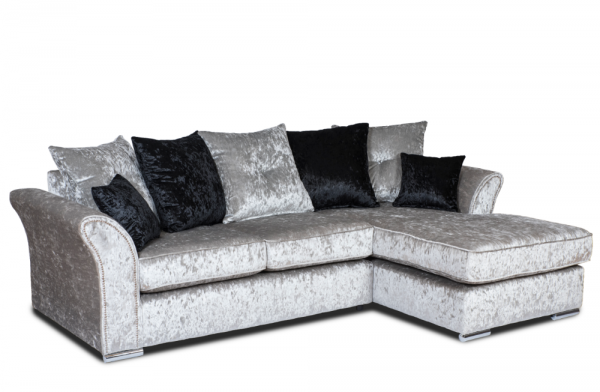 This silver velvet chaise sofa is stylish and oozes with elegance. The Dream speaks for itself and will be the centre piece of your living room. What's even better is that this Dream also comes in a corner sofa and corner sofa bed.